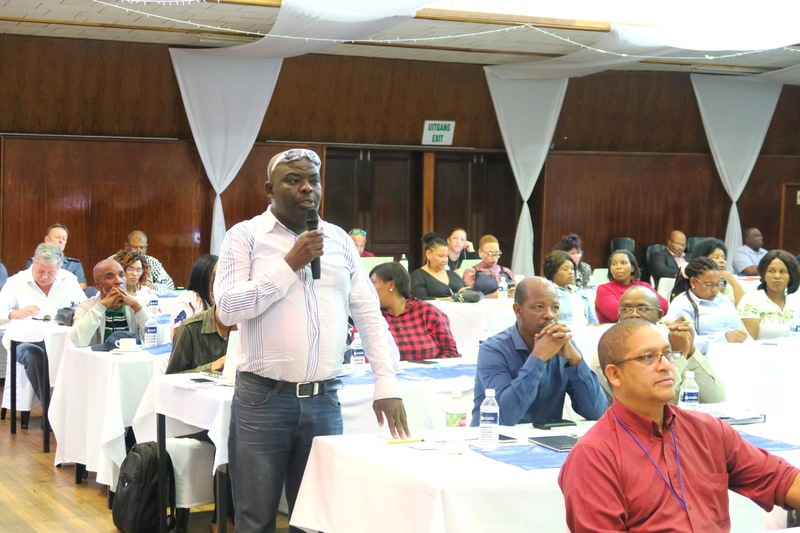 The 2nd Integrated Development Planning (IDP), Budget and Performance Management Representative Forum, hosted by Garden Route District Municipality (GRDM), took place on Thursday, 14 March 2019 at the Civic Centre in George. This event was a second of its kind to be hosted by the District. 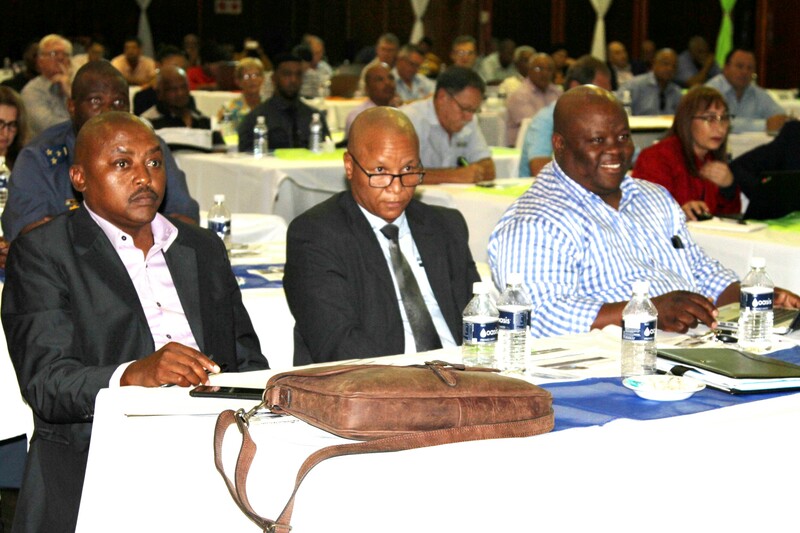 The event housed approximately 150 delegates, varying from Councillors and municipal officials, to representatives from sector departments in the Garden Route district. Apart from representatives from B-municipalities, various Government organisations were also given the stage to talk about their initiatives and plans for the future. This was the part on the programme which municipal representatives waited for in anticipation. 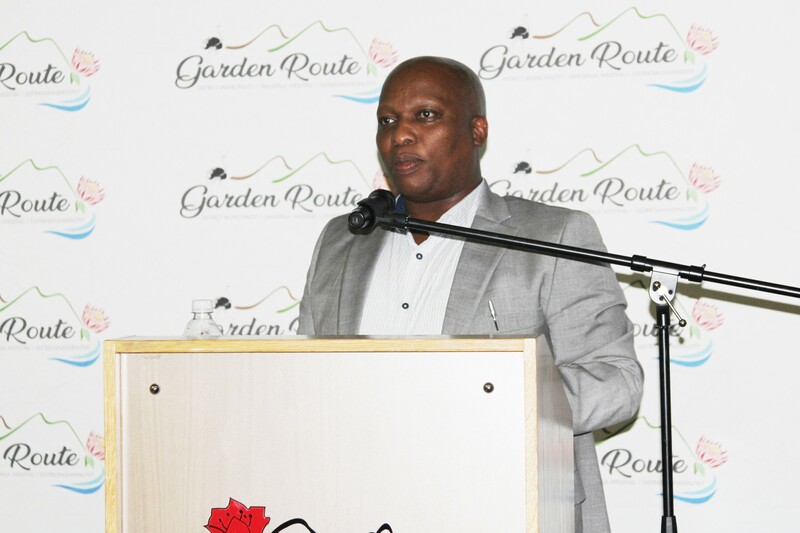 Soon after Mr Mzukisi Cekiso, Manager of Integrated Development Planning at GRDM, recapped the resolutions of the 1st Forum that took in Mossel Bay last year 2018, Executive Mayor of GRDM, presented an overview of the Garden Route district. Mayor Booysen emphasised that the Garden Route is the second biggest district in the Western Cape and is still growing in terms of population statistics. 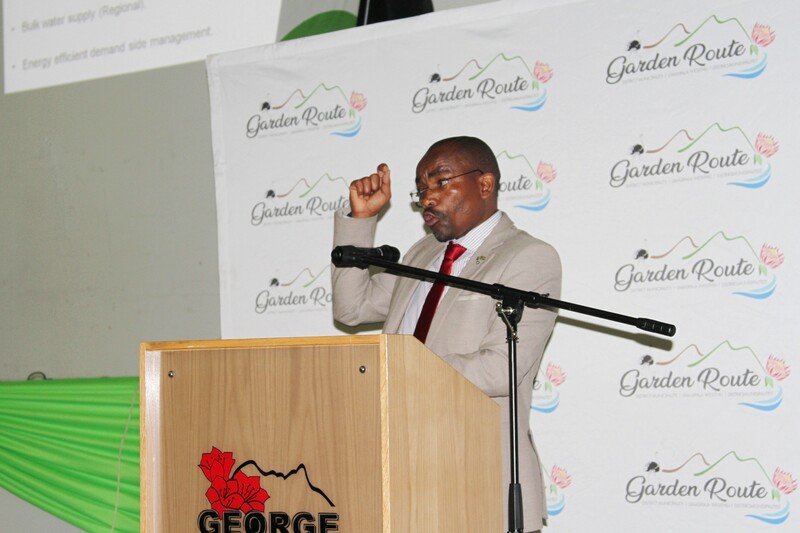 Executive Mayor of Garden Route District Municipality, Cllr Memory Booysen during his keynote address at the 2nd Integrated Development Planning/Budget and Performance Management Representative Forum that was held at the George Civic Centre on 14 March 2019. 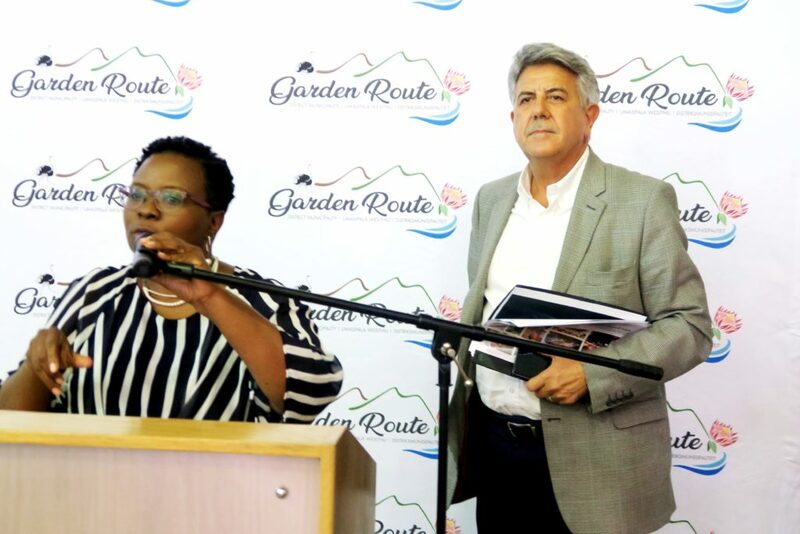 When highlighting his plans for the Garden Route, Mayor Booysen pointed out one of the initiatives of the GRDM and said: “Big events, such as the Garden Route Investment Conference, hosted by the municipality last year have resulted in negotiations to take place with an investor for a R1 billion contract. This contract will be of benefit to all municipal areas in the Garden Route,” he added. Although Mayor Booysen brought good news to the various representatives in relation to the District’s plans, such as to appoint a development agency for the district etc., he also changed his tone and raised his concerns about various challenges which the entire district is faced which. One of these challenges is the drop-out rate of high school learners. He subsequently pleaded with municipalities to plan for programmes to be put in place to reverse this trend. Municipal Manager of GRDM, Mr Monde Stratu, encouraged all municipalities to fully utilise IDP platforms to raise issues of concern and that everybody must work hard to improve communication among stakeholders to ensue better cooperation. GRDM Municipal Manager, Mr Monde Stratu, during his address said: “We have received correspondence from the Western Cape Government that the IDP Indaba is coming back in April 2019”. Stratu encouraged municipalities to make use these opportunities to engage on matters of public interest”. When referring to public participation, he furthermore explained that the District will be going to the next phase of the IDP and Budget process. “We need to work very hard on our communication as stakeholders of Government, as we are not all on the same page and should work hard in achieving better coordinated,” Stratu said. Speaker of Garden Route District Municipality, Cllr Eleanore Bouw-Spies, and Programme Director of the event (left), together with Speaker of George Municipality, Mr Gerrit Pretorius (right), after he delivered his speech on behalf of George Municipality. Municipalities on the other hand raised their municipal concerns of which many spoke about the drought issue in their area, over population in relations to adequate services such as a need for health facilities etc, unemployment, housing, provision of electricity – to name a few. Although many municipalities appeared to be despondent when sharing their municipal budget constraints or shortcomings, many of them also saw the light at the end of the tunnel when sector departments announced their future plans for the Garden Route. One such good announcement, was that of the Department of Health in the Garden Route/Klein Karoo District, when Mr Manie Abrahams highlighted that in the 2019/2020 financial year, R462 million will be spent on hospitals and R498 million for primary health care services. Abrahams said: “One of the reasons for the spending, especially at primary health care facilities and hospitals, is to decrease the waiting time of visitors”. He added: “The Department’s infrastructure upgrading this year for the district amounts to R10 to R30 million for the Mossel Bay hospital which is in progress, as well as a new hospital for Bitou of which the date still needs to be confirmed”. The Bitou Municipality was fully represented at the event, with (fltr) Executive Mayor of Bitou, Cllr Peter Lobese, Municipal Manager of Bitou Municipality, Mr Lonwabo Ngoqo, and Mr Thembinkosi Henge, IDP Manager. In concluding the activities of the day, Portfolio Chairperson for Finance at GRDM, Cllr Jerome Lambaatjeen thanked all municipal officials and representatives from sector departments who attended the event. The programme was facilitated by Cllr Eleanore Bouw-Spies, Speaker of Garden Route District Municipality.